Really, who would not want cookies for breakfast!? For some reason when I think of summer and breakfast I think cereal. This has nothing to do with my childhood because honestly I did not eat all that much cereal growing up. When I was younger, by younger I mean maybe between the ages of five and ten, breakfast on weekday mornings were either frozen Eggo waffles, french toast sticks, bagels or if we were lucky those buttery frozen Eggo cinnamon toast waffles. Man did anyone else have those growing up? Those things are so good, my younger brothers still beg for them. Obviously, my mom was young and knew nothing better than the good old freezer section. Processed food was all good back then. Really, you can’t blame her, five boys and one needy little girl (me) requires some help from the freezer sections. As I got older I went through a period of drinking those Carnation instant breakfast drinks and then a year of toasted English muffins and then I do remember a brief period where I ate corn flakes in high school, but that was brief. Basically any breakfast that I had to eat before school was NOT a good one. All I wanted was to get something in me to get me through my miserable morning. Have I mentioned before that I have always very much disliked any kind of school? And that is putting it mildly. Well, I never really wanted to eat much before school, during school or until my homework was all done. All I wanted was to get all parts of school over and then I’d be happy and eat, which trust me made everyone happy. I am a cranky hungry person, it runs in my blood. I even had to take showers after school to get “school” off of me. I know, this is absolute crazy, but I did and it worked cause then I’d be all happy and relaxed. Why did I hate school so much? Honestly, I still can’t really pin point one specific reason. I mean I had lots of friends, I was never teased and had good grades. Sounds pretty perfect when I say it like that, but I was just uncomfortable in a school setting, it just freaked me out. Long story short, cause trust me it’s a long one, I started taking college classes in high school, graduated from high school early and then graduated from Colorado Mountain College. I speed through school and was done by eighteen and I would not change what I did for anything. No regrets! Anyway, the point of that life story was that my weekday breakfasts stunk. They were quick, boring and basically just shoved down my throat, on the go kind of breakfasts because that is what I was supposed to do. Then on the weekends my dad would make me runny eggs with toast or my brothers and I would convince my mom to makes us chocolate chip pancakes. Obviously, convincing my mom to make chocolate chip pancakes was almost as easy as convincing her to get dairy queen on a hot summer, no not just summer, any day. I say almost because the pancakes she actually had to make, in the morning, when all she wanted to do was either get some more sleep or drink here hot chocolate (her coffee). But if we couldn’t convince her our fallback was Dad’s eggs, still not too bad. So, that did not leave a whole lot of room for cereal. Although, I do remember that I did used to really love having Lucky Charms as a snack at any point in the day. 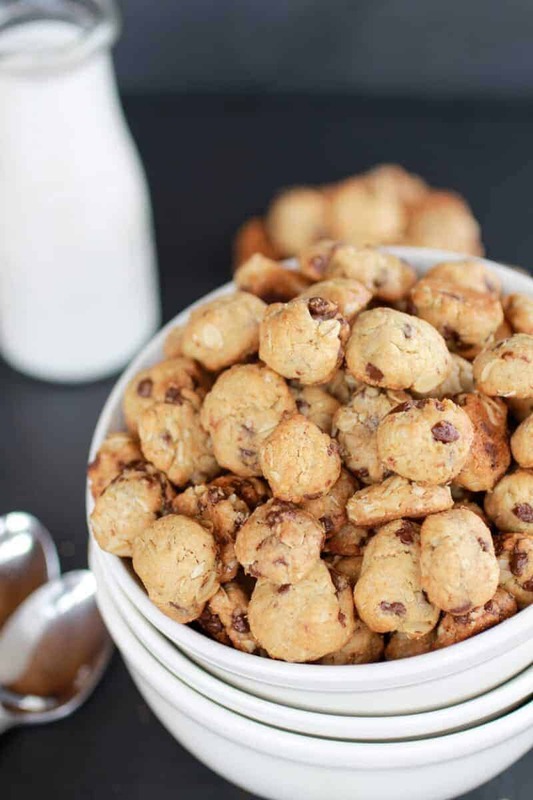 Okay, so what the heck does Summer have to do with this Oatmeal Chocolate Chip Cookie Cereal? Well nothing really, other than it is cold and once it is made requires no oven, one bowl, some milk and a spoon. Which makes me think that cereal is a good summer, get outside as fast as you can, food. Just go with me here, ok? Since I am calling this breakfast and not dessert I tweaked the cookies and made them an acceptable breakfast. Cause after all, I know it is summer and even though it is not hot here (ok the last two days were pretty good) it’s hot everywhere else and everywhere else people want to be in bathing suits which means cookies for breakfast might not be the best idea. So I heathified them for you. Yes, you and your bathing suit are welcome! The trickiest and most time-consuming part is rolling the dough into the tiniest little balls you can imagine. But I promise it is not that bad, it only took me ten to fifteen minutes total. I made things a lot easier by rolling the dough into two long and thin logs and then freezing them for twenty minutes. Then all you have to do is slice the dough and you can either keep them flat and have thinner crisper cookies or you can roll the slices of dough into little balls for fat little cookie bites. I prefered the cute fat little cookie bites, but everyone gets their own preference here. Oh and obviously if you have kids they will LOVE this. 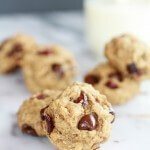 Or moms like me… or heck, anyone who likes oatmeal chocolate chip cookies will love this! It’s Oatmeal Chocolate Chip Cookie Cereal for crying out loud! Combine the whole wheat flour, oatmeal, baking soda and salt in small bowl. Beat the coconut oil, granulated sugar, brown sugar and vanilla extract in a large mixer bowl until creamy, about 3 to 5 minutes. Add the egg and beat well. Gradually beat in the flour + oatmeal mixture. Stir in the mini chocolate chips. Divide the dough in half and turn each dough out onto a large piece of plastic wrap or wax paper and form a very long and thin log with it, about 2 feet in length and about 1 inch in diameter. Seal up the bundle, roll it back and forth a couple times to smooth it out so one side isn't flat from resting on the counter, and place it in the freezer to chill for about 15-20 minutes. You just need the dough to firm up a bit so it is easier to roll into a bunch of little balls. 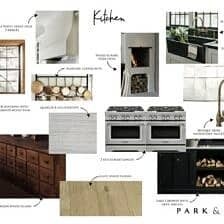 Preheat the oven to 350 degrees F. Line two baking sheets with parchment paper or silpats. Remove the logs and using a sharp knife slice 1/2 inch slices of dough. If you prefer flatten cookies you can simply place the rounds of dough on the prepared baking sheets. If you want a rounder cookie (this is what I did for most of mine) roll the sliced cookie dough between your hands to make a small ball and place on the the prepared baking sheet. Bake for 5 to 6 minutes. Allow to cool completely before storing in an airtight container. Seve over milk, yogurt or eat by the handful! Really, it brings out the inner kid inside you – so fun! Cookies for breakfast. Cannot go wrong with this idea! And all those little mini cookies are just too adorable! Good call with the logs to save time and being able to just slice and go. Thanks Averie! The slice and go saved the day. I tried just rolling the dough without the log and I figured no one would want to sit and do that! Cute idea!!!! This would be a good snack for our great grandbaby if I left the choc. chips out. Ha! Thank you, Tasha! Cookies for breakfast is pretty awesome! Thank you! it really was so good! Oh yum! This reminds me of that cereal that was shaped like mini chocolate chip cookies. Cooke Crisp? I can’t remember the name. Yours looks a million times tastier! Ben STILL buys those cinnamon toast waffles. Confession: I ate one the other day and they are still delicious. I seriously cannot believe you made cookies-for-breakfast cereal. Mind blown. These look outrageous. OMG, I know! Those things are so good! I think I’ve just died and gone to Heaven. To a place where cookies for breakfast is a good thing and even better when soaked in milk. Haha! Sounds like a pretty good place to me! Thank you, Cate and thanks for pinning! Haha! Thank you, Stephaine! Hope you give these a try! I just fell off my seat. You truly are a genius. 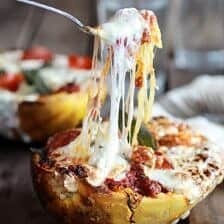 This idea is amazing and I cannot wait to try it – wow, I have run out of words to describe tis recipe! Tieghan, I … no words!!! What a rad idea! This is the coolest. And you’re pictures are gorg-e-ous! Cookies for breakfast? Yes! 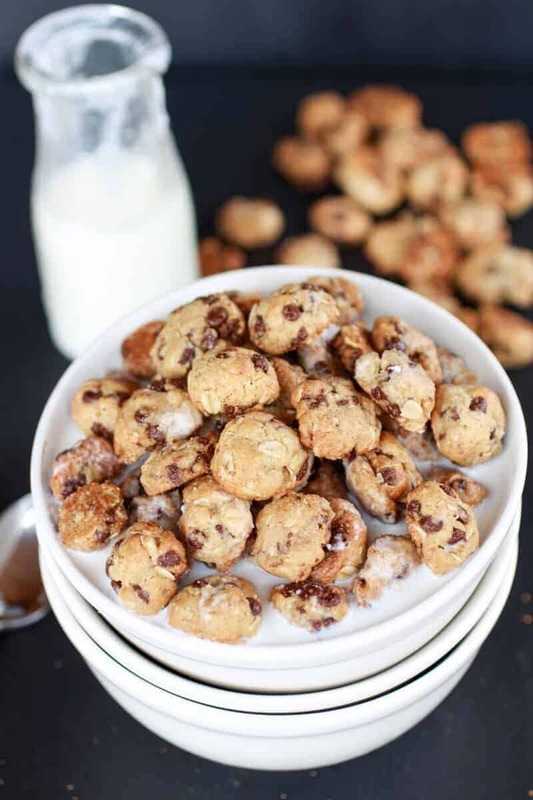 I used to eat a cereal called Cookie Crisp for breakfast – not sure if it’s around anymore. This reminds me of that cereal since they were also chocolate chip cookies! 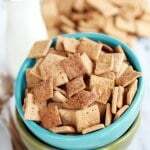 I have never had cookie crisps or heard of them before everyone starting commenting about them! I hope these are 100x better! OMG, Tieghan! this is insane…in the best way possible! I know and thank you! I am so happy you like the idea, Cindy! Holy. COW Tieghan! This is fabulous! Holy cow I can’t imagine rolling these into tiny little pieces. I would eat them all before they get cooked. Ha! Trust me, that was difficult, but worth it! It helped that I rolled the dough into a log and froze it. Then I just used a knife to slice of the cookies! This could be dangerous…small cookies…milk…oh my! 🙂 PINNED! Thank you Jess and thank you so much for pinning!! 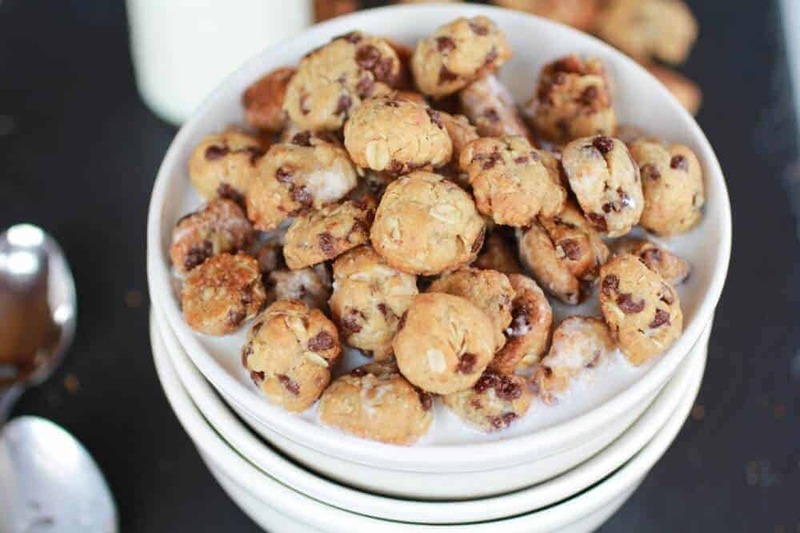 I was never really into the cookie crisp cereal as a kid, but I’m all over this! I have never even had cookie crisp, but I hope this is 100x better! This cereal is totally happening, with full knowledge that I’ll have no self-control around it. Thank you, Valerie! I hope you LOVE this cereal! OMG. 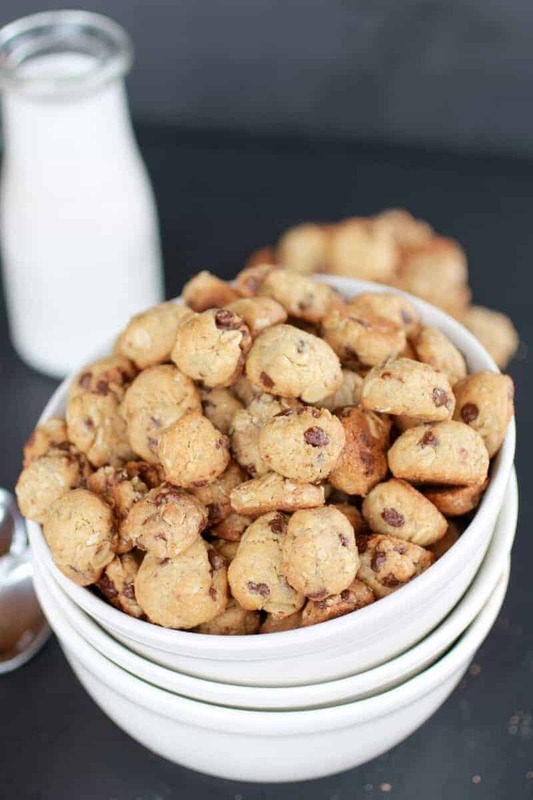 Homemade cookie crisp!? Yes. You are genius! I just died and went to heaven. And now I’m kicking myself for already eating breakfast, Oh well, I can have these for lunch. You just CANNOT go wrong with cookies for breakfast. I love making breakfast cookies but this just brings a whole new meaning to breakfast cookies!! Ha, thank you, Sally! Happy to see you are back, all your instagram photos were making me SO jealous! These are SO cute!! I almost cannot even stand it! Thank you, Hannah! They are delicious too! What! Omg, Tieghan. You are my idol. This is unlike anything I’ve ever seen and I LOVE it! Cookies for breakfast? Oh, yes indeedy. awh how cute are these!?? i need to make them as soon as possible omg these are so lovely, i love them!! Thank you! I hope you love these! Wow, these photos just make hungry. Your idea cookies for breakfast is great. I will try this recipe. Totally with you on the school thing. Wow, thats’s crazy that you finished college at 18! You go girl! This looks delicious! Genius idea! Hey, maybe I could make ’em with sugar cookie dough? Thank you, Nessa! I am sure sugar cookie dough would also work! I saw this on foodgawker, and this is such a cute and smart idea! This reminds me of the Cookie Crisps Cereal that I ate a lot of when I was little. I definitely have to try out this recipe, thank you! Thank you so much Alina! I really hope you love this! What the what?!? This is the best thing I’ve ever seen! Good call on the coconut oil. 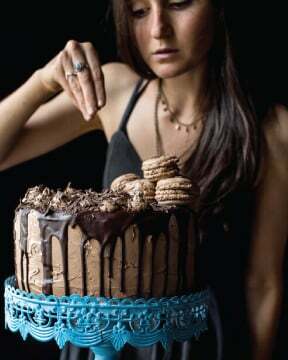 I’m gonna make this with some vegan chocolate chips & chow down! Thank you, Calliope! I hope you love this!! You are brilliant! I’ll be making this in a day or two, and then repeating every 5 days! Ha! I don’t know about brillant, but thank you! I hope you love it! I’m pretty much in love with this! Pinned! Thank you, Kim! And thank you for pinning! Thank you, Liz! Hope you give it a try and love it! Thank you, Lisa! I am glad to see I am not the only school hater around! Ha! Thank you, but I am still drooling over that peanut butter mousse! I can not get it out of my head! If you say it’s ok to eat cookies for breakfast, then I’m going with ya. These are almost too cute to eat. I would eat them of course. I could not be trusted with these around! Oh my goodnessss. 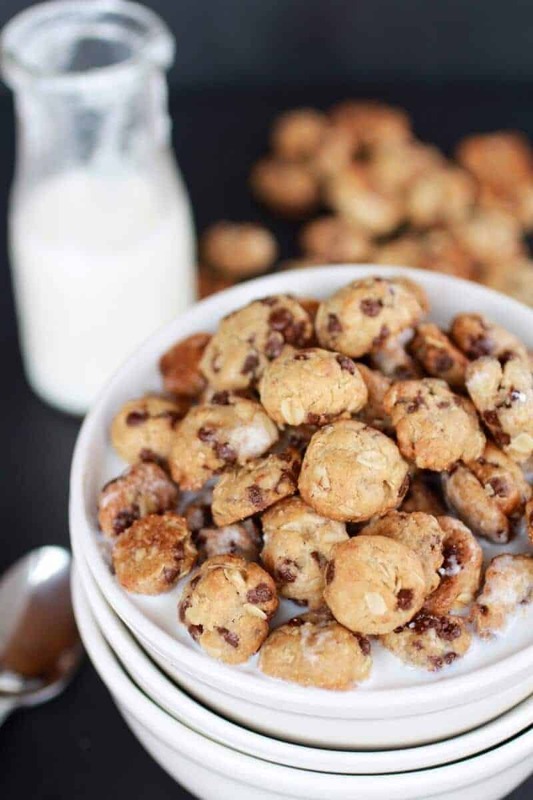 You did not just turn cookies into cereal. Holy genius idea. I have to admit, I’m not big on breakfast. Yes, it’s supposedly the most important meal of the day blah blah but I often skip out on it because well I’m just not big on eating in the morning. But this cereal is DEFINITELY going to change all that. Thank you, Mimi! Hope you love this cereal! This can’t be real!!! 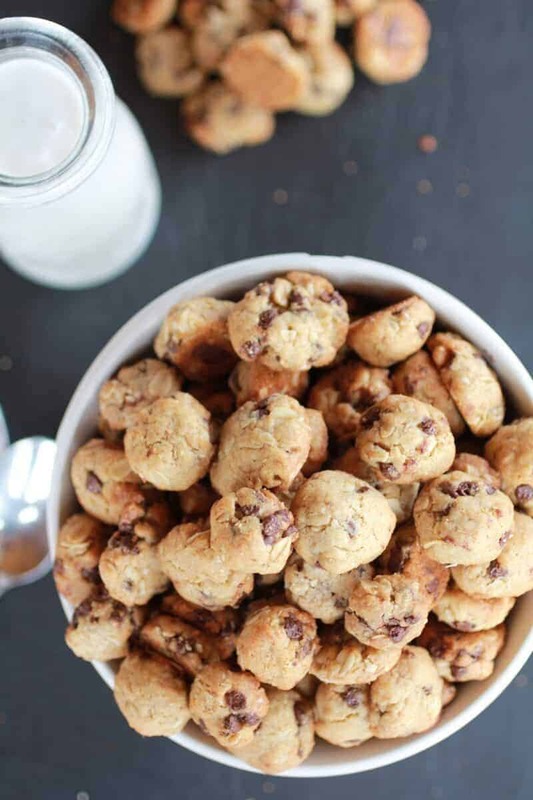 Cookies [hundreds] for breakfast…I’m in! Oh it’s real and it is awesome! You are an evil genius my friend! Any excuse to eat cookies for breakfast – I’m there. I’m in!! Chocolate/cookies for breakfast is always a good idea. I think I may play with this to see if I can add some protein powder to give it an extra nutritional boost. Thanks for the recipe!! Thank and the protein powder sounds like a great idea! Let me know how it goes! I am in LOVE! The best breakfast EVER! Thank you, Maria!! Itty bitty cookies for breakfast rule! Hope you are felling better! I could definitely get into having cookies for breakfast!! I know right?! Thanks Jessica! 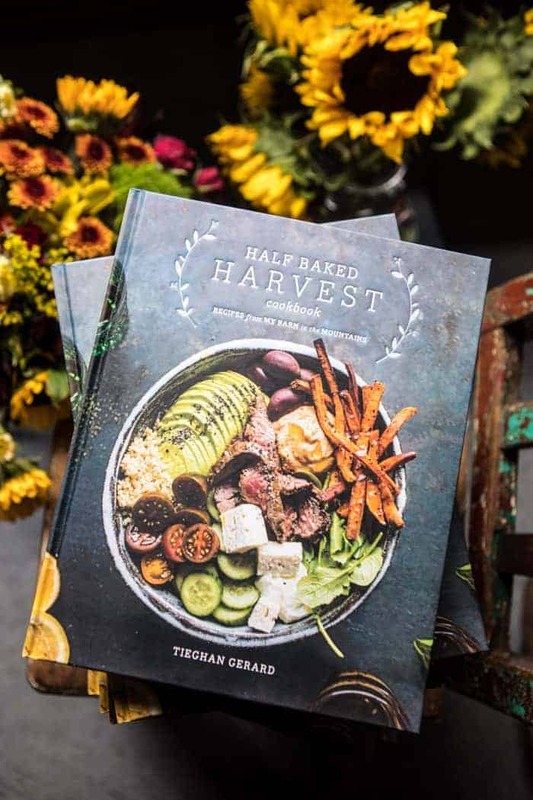 ok, hold the phone, this looks insanely delicious! I need to make these asap, they look SO awesome! Wowza!! I could totally eat this right now! Or anytime really. And my kids would die over this!! 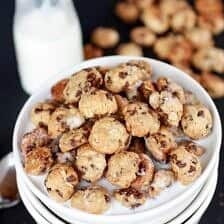 Considering Cookie Crisp cereal is one of my ALL TIME top favorite cereals, you had me at hello with this one. So excited to try this!!! Thanks for sharing! Yummy! Who doesn’t love cookies for breakfast? These are totally adorable! I would love them for breakfast! I also really want to try those cinnamon Eggos! Wow! I am seriously shocked I am not the only person who HAD to shower to get school Off! LOL Sounds like we are a lot alike! OHMY!! Such a fun idea! Definitely making this soon! Thank you, Kylie! Hope you love it! I bet these taste WAYYYYYYY better than Cookie Crisp! Oh they do! Thank you! Your recipe lists oatmeal as an ingredient, but your steps do not say where to add in the oatmeal! Please clarify? Opps!! Sorry Adam! I fixed the recipe, but you add the oatmeal in with the flour. Thanks for letting me know! That sounds awesome! Let me know how it goes! Did you try it? We are gluten free as well! I am so making these! Whether for breakfast or snack, they look amazing. 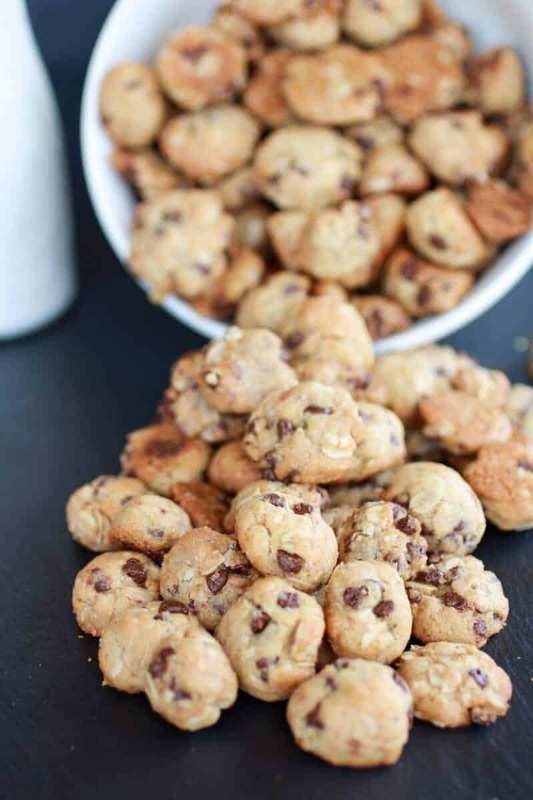 I always make the same oatmeal chocolate chip cookies but these are going to be a perfect summer snack to bring with us on picnics too 🙂 Thanks! 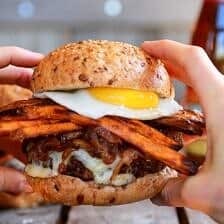 I found you through Frugal Foodie Mama. Ya! I hope you love these as much as we did! Thanks for stopping by! OMG! You’re a genuis!!!! 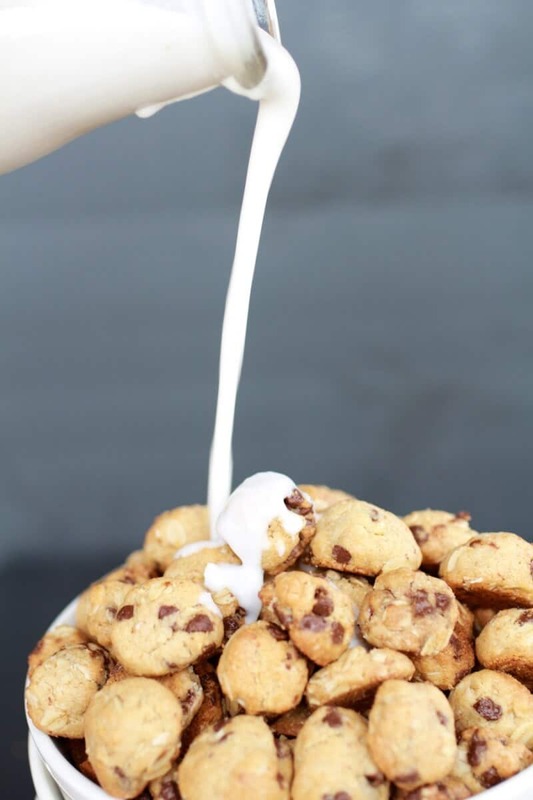 I can’t even handle the beauty of that bowl full of cookies and milk! Not sure I am a genius, but I will take the compliment! Thanks Amanda! Amazing! May I Pin this? Thank you so much, Melissa! Of course you can pin this! Another “school is not life” person (although I did go back for a Master’s later) — love learning, just not school! And I LOVE this recipe — pinned. Can’t wait to make it. Thanks so much for sharing on Busy Monday! My daughters birthday is this week and I’m going to surprise her with these for breakfast. Very excited to try them! Could they be made a day or two ahead or is it best not to? Yay!! I hope these turn out awesome for you and yes, they can be made a couple days ahead!! Just try not and let them sit too long in milk because I think they get soggy a little quicker than normal cereal. Hope your daughter has a great birthday and I hope she loves this breakfast! Hi I’m making these right now, and I realized that you didn’t include the oatmeal into the recipe instructions. Either that, or I’m blind to the work oatmeal. Thanks! – I see that someone else already asked this question. Ok! Oh no!! It is 3/4 cup oatmeal. I am so sorry, I hope everything turned out ok! I am fixing the recipe now! Again, so sorry! I am loving this!! Cookie Crisp was a favorite of mine as a kid, that was a super rare treat! This is right up my alley! I LOVE cookies for breakfast and I love that you healthified them a bit too! How long would these last in an airtight jar??? I am not really sure, maybe a week or longer. The cereal only lasted a few days in our house. Sorry I could not help more. Hope you love the cereal though! I have been trying to make more foods homemade and I love the idea of making my own cereal! I never even would have thought about it. Isn’t it interesting the manufactured foods we eat all the time and never even consider making ourselves? I think I might try using raisins instead of chocolate chips to make it a little healthier. Thanks for the idea! OF COURSE! Thank you, Amber!! Haha! Yay, that is a very good thing! This. Is. Genius! But, instead of white whole wheat flour, can I substitute it with regular all purpose flour? Thanks! Thanks so much, Cynthia! Yes, you can sub in regular flour. Hope you love these! Hehe! Thanks so much, Becky! I hope you guys love this! Brilliant idea! Man I’m so glad I stumbled upon this, my late night weakness is a bowl of cookie crisp which is cookie cereal. Making my own and cutting out the processed stuff is so exciting. Can I add rolled oats to the dough? Also, does this turn mushy or disintegrate when soaked in milk? Hey Isla! Oatmeal is in the recipe and yeah, when the cereal sits in milk for a while it does get soggy. Hope you love this!! 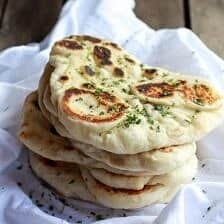 Hi, Tieghan, first I want to say that I LOVE this recipe! I made it 3-4 times months ago when I discovered it and it turned out great. I just “rediscovered” it and tried making it for the 3rd recent time and every single time my dough is dry and crumbly and will not hold together so that I can make any cookies with it… we’ve just been eating it raw in a bowl with a spoon. Which tastes great, but I can’t figure out why it’s so dry! The only thing I’m doing differently is using demerara sugar because that’s all we have right now… but from my experience and what I can read, that shouldn’t dry out the dough. Do you have any ideas for me? Thanks! Hmm, that is really odd. Try adding 1-2 tablespoons of water or milk. Maybe try adding and extra egg if it is really dry, but that is just so odd especially since they have worked for you before. Hope that works!! Do you actually use cooked oatmeal or the dry oats? dry oatmeal. Hope you love this! OMG, I’m sitting here at work STARVING and looking for health recipes for a blog roundup…need these. NEED THEM! 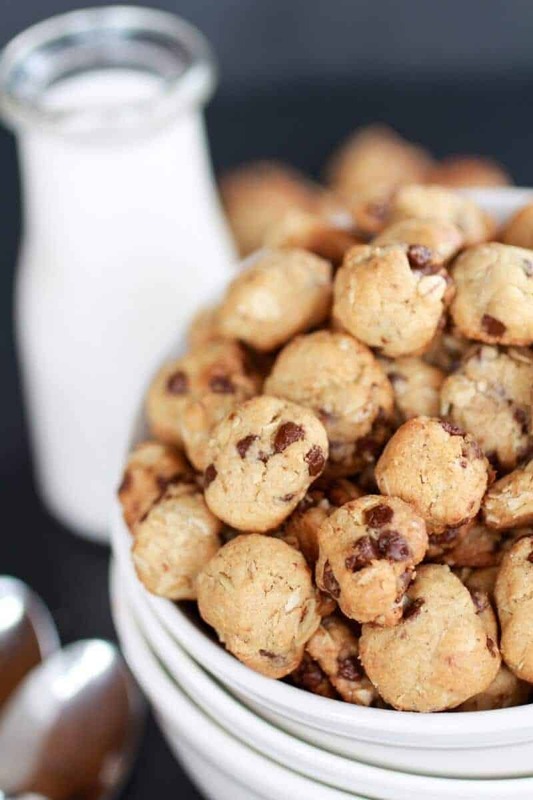 Oatmeal chocolate chips are my favorite. Just so you know… they DO still make Cookie Crisp. Saw it yesterday. If I didn’t want 1/2 cup of butter in the recipe could I replace half of it with applesauce or white beans like in similar recipes for baking cakes and cookies? what is the nutritional information on these by the cup? Hi Ava, I am sorry but I do not know. You can calculate it online if you want though. Really yummy, I used egg replacer instead of the egg. Now I want to try and make it healthier. 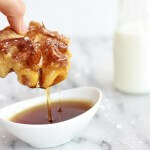 Can you substitute honey for all of the sugar in the recipe? Sorry if this was already answered I am re-reading right after I post this. Thank you in advance and I made these once so far with the sugar and they are fantastic! So, thank you either way! Hey Nick I have personally never tired it. I think it could work, but the texture may be a little different. Let me know how it goes! All-purpose flour will work amazingly! Can I substitute rolled oats or just more flour for the old fashioned oatmeal? Hey Krystal!!! 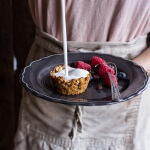 Yes you can use rolled oats for sure! I am not sure flour since I have never used flour but I think it would work. Let me know if you have any questions. Thank you so much!! My husband loves cookie cereal but the storebought stuff is so processed and ick. I’m excited that I found this recipe. Trying these today!! These look amazing!! My mom can’t eat oats, though, so could I leave them out? Or at least replace them with a little more flour? How long do they keep for? Just in case I plan on making a huge batch to eat for later?